The realty prices in cities like Delhi, Mumbai or even some of the smaller tier II cities, like Jaipur or Coimbatore, have shown a remarkable increase over the past few years. This growth has proved the advice of Mark Twain, an American author, that ‘Buy land, they are not making it any more’. There is no paucity of multibaggers in Real estate. Many cases have been observed in which the property brought in 1986 for just Rs. 1 Lakh is now valued at Rs. 1 cr. or even more. Thus, it can be inferred that prices are multiplying a whopping 100 times in approximately 25 years at an annual return of 20 percent per annum. For example, in 1977, Mr. N Mehta, a retired professional had bought a 1 BHK house in Andheri, Mumbai, for Rs. 70,000 and the price of this BHK now is Rs. 70 Lakh. According to the head (real estate investment advisory) of Birla Sun Life AMC, Mr. Sashi Kumar, In today’s scenario, each one should hold realty in the portfolio, although the ratio of how much he/ she should hold could depend on the individual. Now-a-days, an interesting investment area for the global hospitality companies is the Indian hospitality industry. Many global hotel chains are now moving towards India for expanding their domain. The limited number of hotel rooms in the country is giving opportunity to these companies for big betting. Some of the companies that plan to enter India include Thailand’s Amari, Fairmont Raffles Hotels, US-based MGM Mirage Hospitality, Golden Tulip Hotels, Europe’s Corinthia Hotels group, Movenpick Hotels and Resorts etc. As estimated by industries, approximately 40 international hotels are there, which are likely to be operational in the country in the next 3 years. The entrance points include all the upper scale, middle-scale, economy and budget. Amari, the Thailand based Hotels, to launch Amari India, has signed up a joint venture with Mandeep S Lamba. It plans to expand into India with the confirmation of its first property deal in Delhi by April 2010, which will be usable in 2011. Amari takes Indian metro and tier-II cities as expansion opportunities and plans to build up seven hotels and resorts within the next 5-7 years. 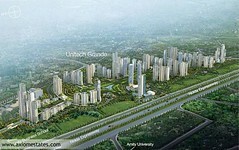 Locations and developers have also been pinpointed in Delhi, Mumbai and Goa. MGM is also looking ahead to launch many hotels in Mumbai, Bangalore, Hyderabad, Chennai, Kerala, Kolkata, NCR, Rajasthan and Goa. Bringing in Bellagio, Skylofts brands and MGM Grand out of its global portfolio is also one the plan. Accor and Four Seasons, the existing ones are also upholding presence in the Indian subcontinent. The holder of five hotels already, Accor, is now aggrandizing its network to 50 with 10,000 rooms in 15 cities by 2012. Indian hospitality industry has emerged as a hotspot destination for investment for the global hospitality companies in the last few years. Many leading global hotel chains aim to enter India in the near future and the ones that are already present in the country as of now are eager to expand. The companies are betting big on dearth of hotel rooms in the nation. Photo by Michel27Industry estimates say, in the next 3 years there will be about 40 international hotels operational in the country. These global chains plan on catering to all the classes—the upper scale, mid-scale, the economy and the budget. Some of the chains that are set to come to India are MGM Mirage Hospitality a US-based firm, Amari from Thailand, Fairmont Raffles Hotels, Golden Tulip Hotels, Movenpick Hotels and Resorts, Corinthia Hotel group from Europe, Carlson, Starwood, Choice, Marriott, Accor, Hyatt, Intercontinental and Hilton. Amari Hotels is set to launch Amari India and is searching for expansion opportunities in the Indian metro and tier-II cities to open seven hotels and resorts within the next 5-7 yrs. Likewise, MGM Mirage Hospitality aims to sign management contracts with realty sector developers as joint venture initiatives with local companies to set up hotel properties in the country. Kaushik Vardharajan of HVS Hospitality Services said that, “India is more profitable for global hospitality firms than the international market. There is huge demand-supply gap which offers opportunities for international firms”. Data gathered by the firm shows that the international and domestic hotel chains had announced in August to build at least 9400 rooms in the country but the actual construction is underway for 3,840 rooms only. Another hotel chain, Fairmont Raffles Hotels International is in advanced stage of discussions for properties in Delhi, Gurgaon, Bangalore, Hyderabad, Mumbai, Goa and Chennai. Golden Tulip is looking to add 10 properties which totals to 800 keys across tier-II towns by the end of the next financial year. Four Seasons, a luxury hotel brand is in various stages of discussions with developers for constructing properties in Bangalore, Delhi, Hyderabad, Pune and Goa. “There is enough room for several players to enter the market. India will become a major market for our company,” said Director Marketing Four Seasons, Sanjiv Shukla. 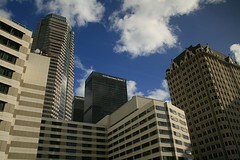 Accor, which has five hotels at present, will expand its network to 50 with 10,000 rooms in 15 cities by 2012. ITC Welcomgroup plans to add 40 hotels to its 113 under four brands out Of which 25 are under the Fortune brand of business hotels. Senior Executive Vice-President at ITC, Pawan Verma said that “We are attached to the ground unlike them (international chains). We excel in Indian hospitality”. The Taj Group is growing furiously both in the country and abroad. It is looking to roll more than 70 new hotels in 4 categories including its budget brand Ginger to add to the 105 hotels out of which 17 will be abroad. However, falling rates of up to 18 per cent over last year has become a cause of concern for these hospitality chains. In 2008-09, the average room rate was Rupees 7,800 which has now reduced to Rupees 6,396 per night. Still it will not be wrong to say that Indian hospitality is in a state of war where hotel rooms are being built like army barracks.